A little under a year ago, Apple tried to assuage everyone’s fears that it had given up on the Mac Pro for good. At the time, it said the device wouldn’t arrive until 2018 at the earliest, and gave us the beastly iMac Pro to whet our appetites in the meantime. Now the company has made it clear we won’t get our hands on the top-of-the-line, modular Mac Pro until 2019. The new device “is a 2019 product.” Apple wants to make sure consumers don’t get their hopes up too early, and hold back on buying an iMac Pro while they wait for the Mac Pro. Apple created a “Pro Workflow Team” for the sole purpose of communicating with pros and understanding their workflows and setbacks. Apple wants to provide “complete pro solutions,” not just hardware. The Workflow team is also addressing performance issues that go beyond benchmarks. Apple didn’t provide details on what the new Mac Pro will look like, but modularity remains a key focus. What that really entails, Apple wouldn’t say. 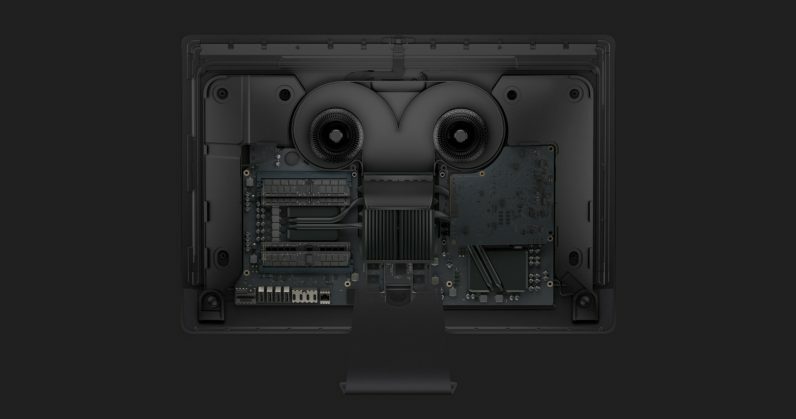 Apple’s placed a particular emphasis on external GPUs of late, and we’ve seen some cool concepts – but right now it’s anyone’s guess what shape the final product will take. I think it’d be difficult for the company to get away with a product that isn’t modular in a traditional sense – expandable memory, swappable video cards, etc. On the other hand, Apple’s history suggests it’ll probably include some zany design elements. If we’re lucky, it’ll be some combination of the two.